Orleans Correctional Facility is located in Albion New York, part of Orleans County. 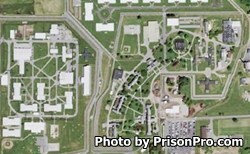 It is a medium security prison that houses male offenders. The capacity of the facility is 1,082 inmates. Orleans Correctional Facility is also responsible for a 120 offender re-entry program that prepares an inmate for their upcoming release date. Additionally, this facility operates an alcohol and substance abuse treatment program. While serving a sentence at Orleans Correctional Facility, inmates can participate in vocational training in carpentry, custodial maintenance, painting, business, small engine repair, and electrical. These vocational classes give the inmates skills they can use to obtain a job upon release and become productive members of society. Inmates in the general population have visiting on Saturdays, Sundays, and Holidays from 8am-3:15pm, processing of visitors stops at 2pm. The SHU200 has visiting on Saturdays from 5pm-9pm (processing ceases at 8pm), and the SHU has visits from 8:30am-3pm on Saturdays, Sundays and Holidays (you must arrive by 2pm). Inmates are allowed a maximum of three visitors at a time, children under four do not count as a visitor.